I’ve been actively advocating for an international copyright exception model that would greatly benefit people with disabilities, as anyone who has read my blog over the years can attest! My passion at Benetech for the last twenty-five years has been making technology tools to meet the reading needs of people who are blind, dyslexic or have other print disabilities. After all, Benetech’s Bookshare initiative is the largest online library serving people with print disabilities in the world. We help more than 250,000 people with print disabilities thanks to our U.S. copyright exception. We could serve many more with a comparable international model. Last month, leaders from around the world gathered in Marrakesh, Morocco, with the hope of taking a huge step forward and designing that international model. I’m excited to report: they did just that. 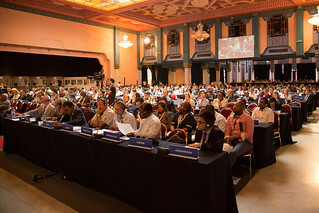 The “Marrakesh Treaty to Facilitate Access to Published Works for Persons Who Are Blind, Visually Impaired, or Otherwise Print Disabled,” which will make it possible for people who are blind, or have other print disabilities such as dyslexia to get access to the books they need no matter where they live, was adopted by the diplomatic conference and signed on the spot by over 50 countries. We have a treaty…and it’s great! Thank you to everybody who helped to make the treaty possible! Why is this treaty so terrific? For starters, it closely follows the Chafee Amendment, which is the copyright exception that has made Bookshare possible in the United States. And once the United States Senate ratifies the treaty, it will be possible for libraries like Bookshare to get more content for Americans from sources outside of the United States and in more languages. It will also be possible for Bookshare to deliver our entire library—instead of only the titles we have permissions from publishers to share—directly to people with print disabilities living in other countries using our individual membership system (it works just like your own library card). The treaty also allows us to work around digital rights management and associated technological protection measures to ensure access for our users. We still have more work ahead of us—in fact, it could take up to a year, maybe much longer, for the United States to ratify the treaty—but we are all very excited by the progress that’s been made here. 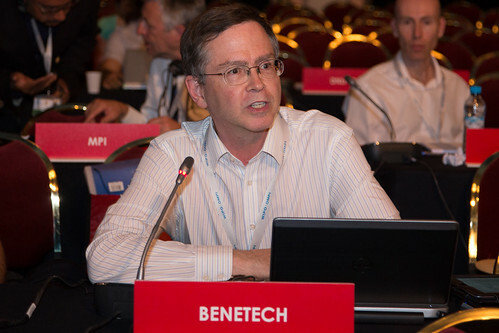 Benetech and Bookshare will continue working with coalition partners, like the National Federation of the Blind and the American Council of the Blind, to determine the best path forward to ratification here in the United States. I will admit that the prospect of getting this great of a treaty, one that would have a real impact and wasn’t poisoned by private interests with their own agendas, was looking grim leading up to the diplomatic conference. We were worried that a bad treaty might even negatively affect our ability to serve our users in the United States. It was thanks to the petition signing, the phone calls, emails and the public conversation generated by our Bookshare members, organizations like the National Federation of the Blind, the American Council of the Blind, and the American Foundation for the Blind, that the United States government stood up to those private interests and negotiated for a pro-consumer treaty. To everyone involved—so many names it is impossible to list everyone—a sincere “Thank You” for helping to get us here. Your support and action helped us to achieve a historic treaty that will change the lives of millions around the world. More to come as we work to ratify—and eventually implement—the treaty, and bring an end to the global accessible book famine!